Most reported cases of nasopharyngeal laceration following impingement during nasotracheal intubation involved tube insertion via the right nostril. We postulated that recesses on the posterior wall of the nasopharynx might be associated with tube impingement. Using multiplanar imaging and clinical statistics, we evaluated whether anatomical variations in the recesses are related to successful intubation via the right nostril. Using multiplanar computed tomography (CT) images of 97 patients, we investigated the locations of recesses relative to the mid-sagittal plane, nasal floor plane and posterior end of the nasal septum, and their shapes. Incidents of impingement of the tube during nasotracheal intubation and the shapes of the fossa of Rosenmüller on CT images were retrospectively evaluated in 170 patients. Eustachian tube orifices were located approximately 10 mm laterally from the sagittal plane, and approximately 10 mm above the nasal floor plane. The fossa of Rosenmüller was vertically elongated and located 7 mm laterally from the mid-sagittal plane. Pharyngeal bursae were found in 15 % of the subjects. Patients with failed insertion via the right nostril due to impingement frequently had a wide opening of the fossa of Rosenmüller. Successful intubation via the right nostril is related to the anatomy of structures on the posterior nasopharyngeal wall, particularly recesses located close to the path of nasotracheal tube insertion. 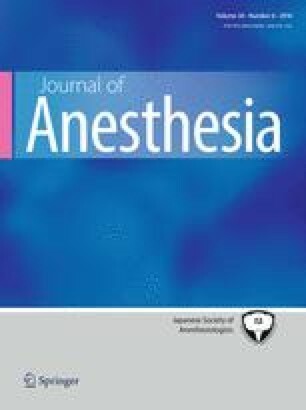 Nasopharyngeal anatomical variations should be considered when one notices any resistance to advancement of the tube into the nasopharynx during nasotracheal intubation. The authors thank Takamichi Murakami, M.D., Ph.D. (Director and Professor, Department of Radiology, Kindai University Faculty of Medicine) for helping with the study.